All our photographs offered, are Original Vintage Images. We do not reproduce any images. Though there have been many times we wanted to, we made up our minds to stay Pure. And not degrade a rare image for the sake of reproduction. 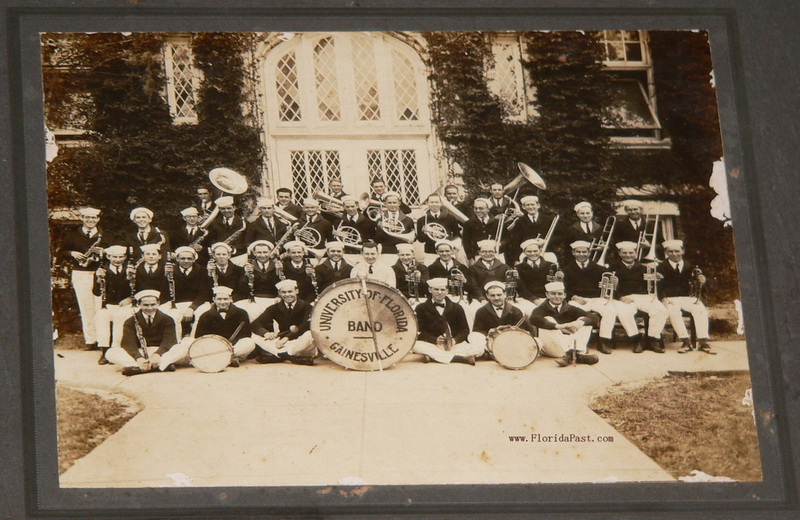 Our photograph offerings will range from Historical to Whimsical, and Anything inbetween. It's all about having fun, while preserving our history, "one click at a time"
Clicking on any image, will give you a Larger View, and opens in a New Window. We have been Collecting SnapShots & Photographs for over 3 decades. So our Condition Ratings are Extremely Accurate and Honest. Please check the Terminology & Condition Rating Page for definition of terms and ratings used to describe our image offerings. Another True and Honest part of FloridaPast History. 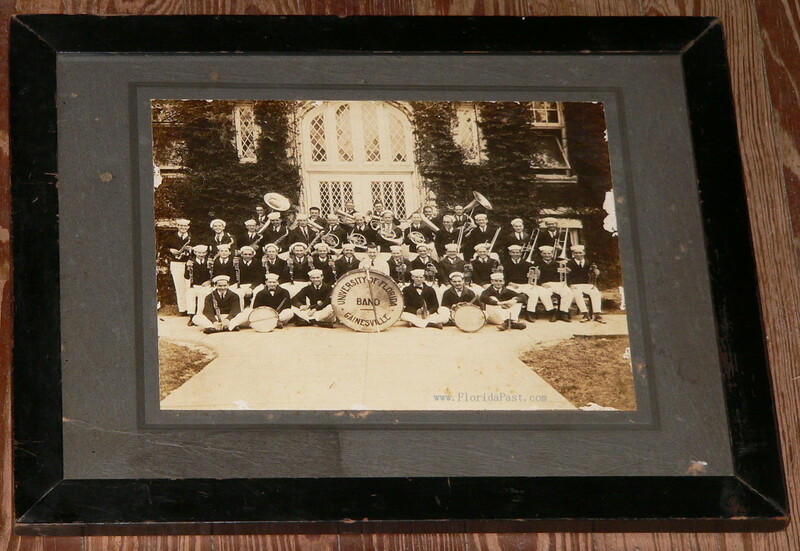 Large size, framed mounted photograph. Entire frame measures 15 1/2" x 12 1/2"
The actual photograph 9 1/2" x 7 3/4"
This image is Clear, Clean and Precise. All small print is Tight and Legible. Larger size SnapShot. 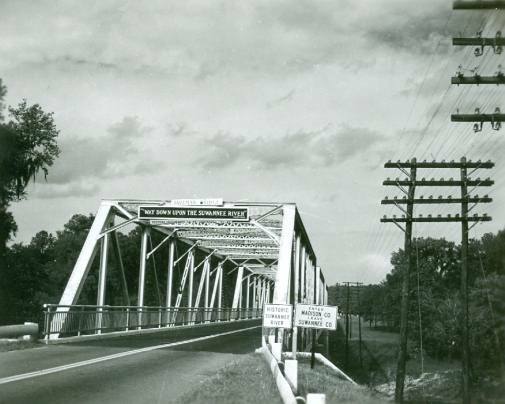 We are on a constant Hunt for Old FloridaPast and Other Interesting Images. If you have any for sale or trade, Please contact us at Florida_Art@FloridaPast.com. but our price may be a bit high for you, let us know what your willing to pay. As you can never tell what we would be willing to sell for today. This little image says a lot. Study the sign. Designed in the likeness of a Zepelin. Even the deck with all it's windows. Very Historical Image. White border SnapShot, Velox paper. 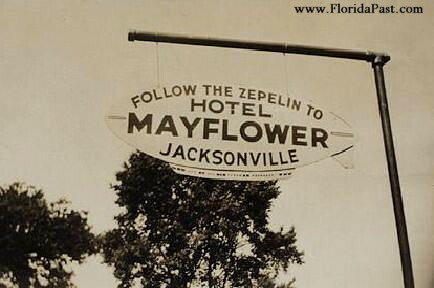 VERY HISTORICAL IMAGE - Taken in St. Petersburg, FloridaPast. 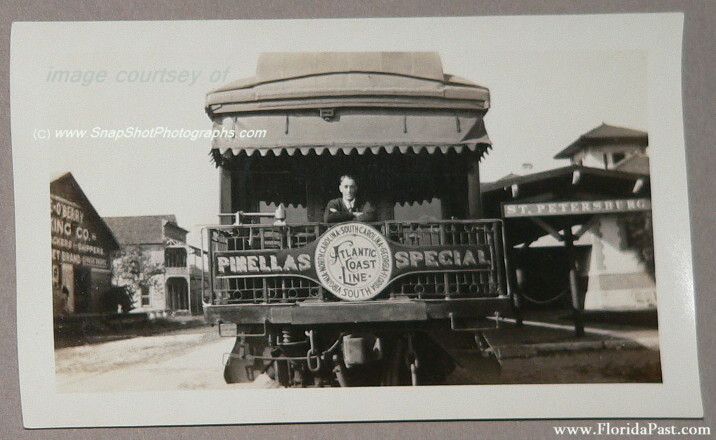 Depicting the Pinellas Special, at the Railroad Depot, opposite Milne O'Berry Citrus Packing House. MEASURES; 4 3/4" x 2 7/8"